If you’re in the mood to binge watch movies about survival while sitting on a comfy sofa in a warm room eating chips and drinking beer, here’s the list to choose from. Just pick your environment: mountains, ocean, desert, jungle, outer space or alien planet. Cross reference by disaster: weather, plane crash, boat capsizing, science expedition, adventuring, or sheer stupidity. Then add your favorite apex predator: shark, wolf, grizzly bear, tiger, or other humans. A climber becomes trapped under a boulder while canyoneering alone near Moab, Utah. He takes desperate measures to free himself in order to survive. I could not bring myself to watch this movie. If Aaron Ralston had followed even one of the basic safety measures recommended for people going into the wilderness, he would have all his body parts today. From the book by Piers Paul Reed. The Uruguayan rugby team is stranded in the snow-swept Andes and forced to use desperate measures to survive after their plane crashes. 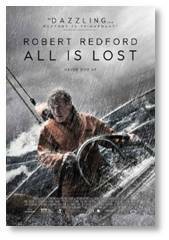 A man sailing alone on the Indian Ocean must survive a collision and a storm that destroy his vessel. The critics liked it better than I did. After their spacecraft undergoes massive internal damage, three astronauts must devise a strategy to return to Earth safely. 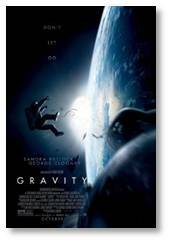 We saw this and I enjoyed it at the time but it lacked the immediacy and reality of Gravity. After he survives a crash landing on a deserted island a FedEx executive must transform himself physically and emotionally to live. Is there anyone who didn’t like this movie? Anyone? Bueller? Wilson? A billionaire and two other men accustomed to civilization are stranded by a plane crash in a dangerous wilderness. A grizzly bear makes a formidable foe. I have seen this movie twice, maybe three times. It’s terrific. A climbing expedition on Mount Everest is hit by a severe storm that killed X climbers and guides. After their plane crashes in Alaska, a skilled huntsman leads six oil workers to survival while a pack of relentless wolves haunts their journey. Young but resourceful Katniss Everdeen volunteers to replace her younger siste in the Hunger Games, a televised fight to the death in which two teenaged “tributes” from each of the twelve Districts of Panem are chosen by lottery to compete. 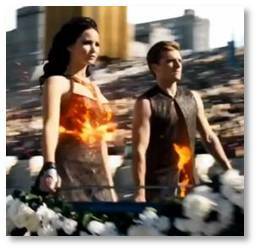 Katniss Everdeen and Peeta Mellark are sent back into the arena for the 75th Quarter Quell when they become targets of the Capitol. Their victory in the 74th Hunger Games has sparked a rebellion in the 12 Districts of Panem that President Snow wants to put down quickly. Based on Jon Krakauer’s book of the same name, it depicts the disastrous events that took place during the Mount Everest climb on May 10, 1996. The book was better. Is it really survival if you go hunting the great white shark? 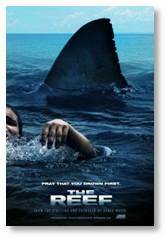 Or is it only survival if the great white shark is hunting you? We have seen this movie multiple times and it never gets old. This is Robert Redford at his best. He sure could skin griz. Eh. 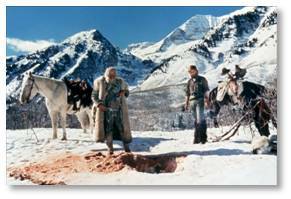 I would not have thought of this movie in the context of survival but it works. Do not wear high heels to go out in the dinosaur paddocks. I’m just saying. 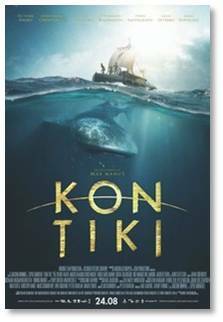 This movie recreates legendary explorer Thor Heyerdal’s epic 4,300-mile crossing of the Pacific on a balsa-wood raft in 1947. His goal was to prove that it was possible for South Americans to settle in Polynesia in pre-Columbian times. We saw the re-mastered 50th anniversary edition and it was outstanding. 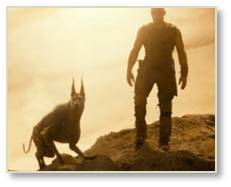 While the movie includes a survival in the desert scene, however, that is not the focus of the story so it would not be on my list. 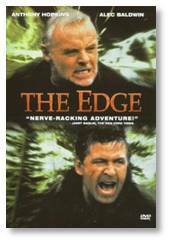 IMHO this should be on anyone’s list of the Top 10 survival movies. It’s also the most beautiful of any I can remember. In this movie, based on actual events, Marcus Luttrell and a team of Navy SEALs take on a mission to capture or kill notorious Taliban leader Ahmad Shah, in late June of 2005. Due to a variety of failures, Marcus and his team must fight for their lives in hostile territory and against a greater force than they expected. 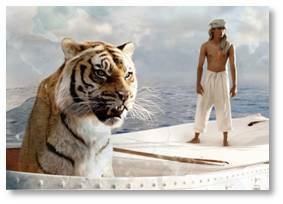 Shipwrecked on an island, a group of castaway boys finds that surviving and being civilized are not the same thing at all. I saw it too long ago to remember whether it was good. This is the ultimate survival environment. 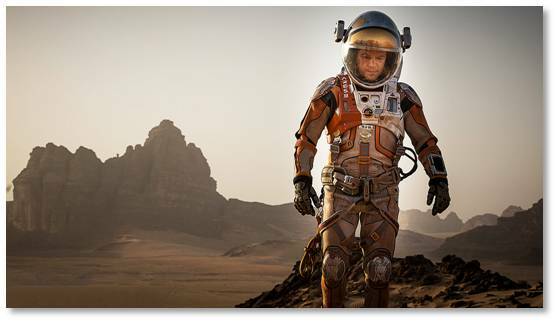 During a manned mission to Mars, Astronaut Mark Watney is presumed dead after a fierce storm and left behind by his crew. But Watney has survived and finds himself stranded and alone on the hostile planet. With only meager supplies, he must draw upon his ingenuity, wit and spirit to subsist and find a way to signal to Earth that he is alive. Victims have to survive the island as well as the hunter. Cornell Wilde has to survive being hunted by a tribe in Africa but the environment is a strong opponent. I saw it as a kid at the outdoor it was gripping. Based on the true story of two scuba divers who were accidentally stranded in shark-infested waters after their tour boat left without them. I have not been able to watch this either in the theater or on TV because the thought of it is too awful. A group of passengers struggles to survive and escape, when their ocean liner capsizes. Believe it or not, I don’t think I ever saw this movie. A great white shark hunts the crew of a capsized sailboat along the Great Barrier Reef. I haven’t seen this one, either. This depicts a U.S. fighter pilot’s epic struggle of survival after being shot down on a mission over Laos during the Vietnam War. We enjoyed this one and thought it very well done. Christian Bale is excellent. Convict and king Richard Riddick is left for dead on a barren, sun-scorched planet. Just because it’s science fiction doesn’t mean it’s not a survival movie. I missed this one but we all know the story. This is the second film version of the classic. A plane crash leaves a pilot and his passenger struggling for survival in the Arctic tundra. I didn’t think a movie could do justice to the book, which was riveting. But the film version is arguable better. At times I forgot to breathe. Two storm chasers on the brink of divorce, must partner to create an advanced weather alert system by putting themselves in the cross-hairs of extremely violent tornadoes. After a near-fatal plane crash in WWII, Olympic runner Louis Zamperini spends a harrowing 47 days in a raft with two fellow crewmen before he’s caught by the Japanese navy and sent to a prisoner-of-war camp.In the camp he’s selected for special torment by one of the guards over an extended period of time. Escapees from a Siberian gulag walk 4000 miles overland to freedom in India. I love so many of these movies. 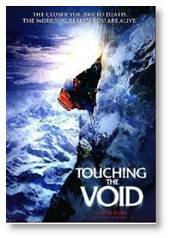 “Touching the Void” is a movie more people should see! Thank you for this list. It contains some great suggestions!